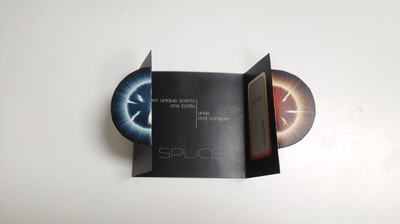 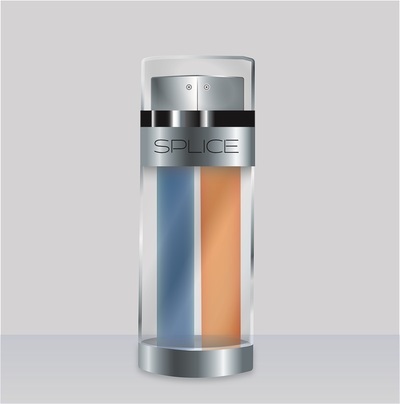 Splice is a fictional dual-scented cologne that is packaged in a double sprayer bottle. The advertising campaign for this product includes a horizontal advertisement as well as a promotional brochure with sample. 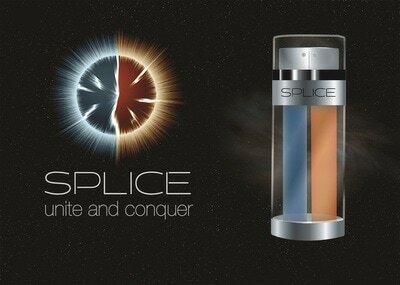 The goal for Splice was to make it easy to understand the dual scents without having to show the bottle. The imagery gives the feeling of invigoration when a consumer uses this product and the tagline summarizes the idea of the dual fragrances.